Introduced in 2009 in India - Zero Depreciation Plans, often referred as Bumper to Bumper Car Insurance Policy is what an additional 'depreciation cover' cover offered on the car. Offered as additional cover for New Cars upto 5 years, now days Insurance Companies have extended and even offering Zero Depreciation cover for even 6th and 7th Year. Even if you have comprehensive Policy Cover in previous year, you can still opt for Zero Depreciation cover in later year by informing Insurance company as the car requires physical inspection before extending zero depreciation cover. Premium is Generally higher to tune of 10% to 20% over Regular Comprehensive Policy. 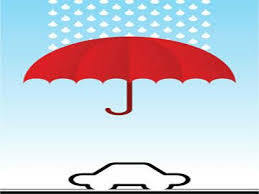 Most of the Insurance companies do provide Zero Dep Cover for first 3 to 5 yrs of Ageing of the Vehicle.